Beginning in early 2019, more adults living in Virginia will have access to quality low cost health coverage. Individuals that have relocated to Virginia from Puerto Rico and the Virgin Islands following Hurricanes Irma and Maria can possibly have access to a 26 week extension of Disaster Unemployment Assistance (DUA) benefits. All Worker Adjustment and Retraining Notification (WARN) letters and requests for Rapid Response assistance should be directed to Brett Tavel, Rapid Response State Coordinator, by FAX at (804) 819-1699 or by email at btavel@vccs.edu. The U.S. Census Bureau is currently seeking Partnership Specialists throughout the state. Beginning January 1, 2019, more adults living in Virginia will have access to quality low cost health coverage. Eligibility is base on income, with a single adult making up to $16,754, or a family of three making up to $28,677, qualifying for coverage. The VEC's Virginia Workforce Connection (VAWC) is your online source to connect with potential employers, search for jobs, find training opportunities, and research wage data along with industry and occupational trends. You can also visit a VEC office near you for assistance. Veterans from all periods of military service are eligible for job referral, job training and job placement assistance through the Virginia Employment Commission (VEC). Veterans may access these employment services through a statewide network of VEC offices. We also work with those that are currently transitioning out of the military. Sometimes an employer will classify workers as contractors instead of employees. In these cases, contract workers are responsible for paying their own payroll taxes, including federal and state income taxes and both the employer and employee portion of Social Security taxes. In most cases, contractors are responsible for providing their own Workers Compensation Insurance and are not eligible for Unemployment Insurance if their services are no longer needed. The Virginia Workforce Connection (VWC) was established to help employers find qualified candidates and post job opportunities. To view a comprehensive list of everything you need to get started with your application including special forms and telephone numbers for the hearing impaired, please visit our Claimant Resources page. It might have happened this way: Your boss just told you that within the next two weeks the company is closing its doors forever. Or, perhaps the company is downsizing and you just lost the only job you've had for the past decade or more. However it occurred, it may be your first time to be "out of work." So, what do you do now? Three steps make up our claims process. 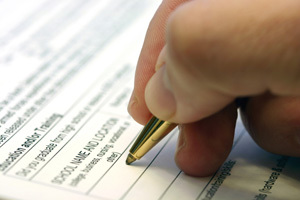 Before you file a claim, understand each step and how you can best file and register for work. Each step makes good things happen for you and understanding each step's purpose makes things go smoother for all. You file your first, or Initial Claim, per benefit year. When you make your initial claim, you can also register for work. It’s an easy, automatic way to register for work. Your initial claim determines if you are eligible for benefits. File this claim online or by phone between the hours of 8:15am and 4:30pm, Monday - Friday (Closed state holidays) 1-866-832-2363. After you make this one-time claim, you must move on to Step 2: Register For Work. You register for work just one time and you must do it within two weeks of filing your initial claim. If you do not register for work, your benefits may be delayed or denied. 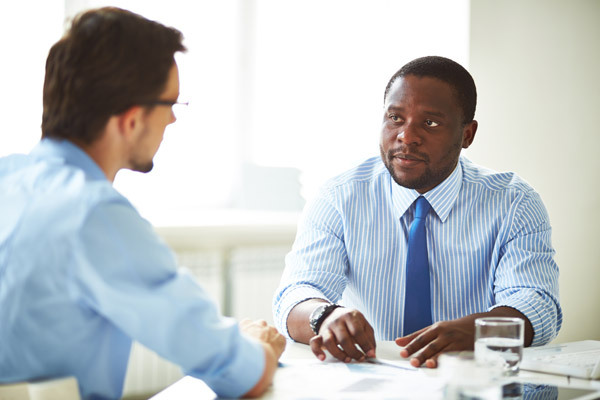 The Virginia Employment Commission requires you to seek work on an ongoing basis. After all, getting you back to work is the top priority. qualify to get a weekly benefits. You can file your weekly claim online or by automated telephone system (1-800-897-5630). Periodically we receive an alert that someone is falsely representing themselves as the Virginia Employment Commission. While we do our best to combat fraud, sometimes the best people to help prevent fraud are the ones who may be the target. You can anonymously report Unemployment Insurance Fraud to the VEC by calling 1-800-782-4001. If you have received a decision about your benefits from us, you will be able to file an appeal from that decision. An appeal is a process where someone at the VEC reviews the decision you received and then decides whether it is correct. You must file an appeal in order to get this review. If you do not file a timely appeal, the decision you have will control your right to benefits. Overall, employment in Virginia is projected to grow 9.3 percent by 2024 exceeding the national growth rate of 6.5 percent. Which jobs are expected to grow or decline in Virginia? The Job Outlook brochure lists a sampling of high-growth occupations by educational attainment and annual wages projected to 2024 as well as occupations that are projected to decline. Research labor market, economic and demographic data and compare information over time between regions.